This website introduces a learning/teaching framework that I created some years back with Mary Scholl. The acronym stands for Encounter, Clarify, Remember, Internalize, Fluently use. It is a way of charting the process people go through when they learn skills and knowledge. Click here if you'd like to learn more about it. Experiential Learning and Reflective Practice in Teacher Education. This is my Master's thesis, which explores some of the principles and practices of experiential learning. 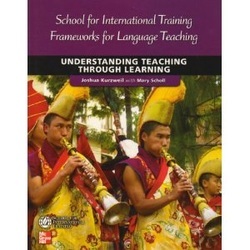 It explains the theoretical foundations of Understanding Teaching Through Learning. Personal Vocabulary Notes. This article was published in the Internet TESL Journal in 2002 and explains a technique in which students research vocabulary they need to communicate their ideas. Motivation and Learner Training through Oral Quizzing. This article was published in the Internet TESL Journal in 2003 and discusses a way of quizzing students in a way that help them learn more effectively. Exploring Cultural Values with Students. (Guest Post on Larry Ferrlazo's Blog). This article shows how I have used Geert Hofstede's dimensions of culture with upper level students writing a compare/contrast essay. Using Quizlet Live. (Guest Post on Quizlet). I describe how I use Quizlet's interactive classroom game to review vocabulary words. Supporting Science of Learning in the Language Classroom. (Guest Post on Learning Scientists). I argue that telling students about the Science of Learning is not enough and offer ways of implementing it with students in and out of class. Tips and Tricks for Making Learning-Centered Flashcards (Guest Post on Quizlet).